Following the death of his father, Narcel longs to escape the ongoing violence and wars of the land of Braze. It doesn't help that his mother is mayor of Valhia and his older brother the top advocate for war. Another point against Narcel is his devious cousin, and the fact that they both love the same girl. His world is thrown upside down when first his brother goes missing, and then Narcel's taken by the warrior Mawtu and made to become one of their slaves and fighters. At first he's all alone, caught between his will to live and his hatred for these people. But soon allegiances form and the legends of the gods begin to tempt him and his brothers. If he can survive through training and establish himself in these warrior ranks, Narcel may be able to bring this land and its people to the peace he believes it deserves. When his two worlds collide, the warrior brothers he's trained with and learned to love, and the village of his youth, Narcel is forced to make a choice that will inevitably bring Braze to levels of war it has never seen. 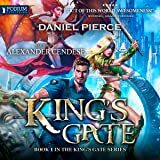 If you love such epic fantasy books as Prince of Thorns, Game of Thrones, or Way of Kings, you'll feel at home with this series. 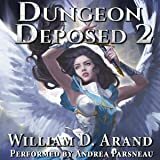 5.0 out of 5 starsCouldnt stop reading! This is absolutely a 5 star rating! I am not much about war type books. I do love fantasy though. That being said...this book literally kept me riveted! Even the parts where they were fighting and at war had me biting my nails! This is a wonderfully written tale of a young boys journey into manhood. He is forceably removed from everything he knows and everyone he loves. It is a tale of first love and being torn between loyalty to your past and loyalty to your present. Narcel is an artist at heart, he is dedicated to family and he finds his first love. He is pitted against his despicable, cowardly, jealous cousin for the girl he loves. He is forced to become a warrior and go against all that he dreams for his life and the family he loves. This book will have you cheering Narcel on, wanting him to succeed and have his girl. It will have you hating his cousin, aunt and uncle. His cousin is a coward who forces everyone else to do his dirty work while he takes the glory. It literally makes you want to rip his throat out yourself! It is impossible to read this book and not feel the emotions these characters experience. It is impossible not to become part of Narcel's journey into becoming a warrior and a man. It will have you begging for more at the end. You will be rooting for Narcel and all that he stands for. This book is exceptionally written and two thumbs up to the author for bringing Narcel to life for the reader. For making it feel like you are there, experiencing everything happening. I can't wait to read book 2 and see what happens next! * I have completed the series and can honestly and happily say this is my all-time favorite book!! I LOVE this series and highly recommend it! Life is not easy in this book - oceanic, pastoral and community settings all become scenes of bloodshed. The author handles it with great skill, particularly in scenes of hand-to-hand combat. I enjoyed the passion and the play of the story. Although I found the constantly changing political relationships confusing, they were not critical to the core story of a young artist/dreamer thrust by tradition into the role of a warrior whose actions range from cowardice to bravery and whose motivations seem to waver like flickering candlelight. There are hints at the greater story to be told in the epic but the actions of this volume can be read and enjoyed on their own. 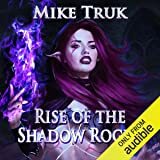 I listened to the AUDIBLE version and, for a story this complex, that can almost be a drawback as action plunges forward at a great rate and it is easy to get lost. On the other hand one is swept into the drama and drawn forward at furious speed as battles rage and family relationships play out. And then there are the gods. Again, the pace of the well-read narrative (excellent vocalizations!) left me somewhat baffled, but it was clear that some of the frictions were between religious factions within regions. I suspect reading, and seeing the names, I would have better remembered who was who. So, action and adventure? A+ Clarity of motivations? C- Epic scope? A Delineation of good guys and bad guys? Ah, there you have in a nutshell the source of many of my confusions and yet probably the point of the story. There is no Snidley Whiplash nor Dudley DoRight; each faction has pluses and minuses and each person is nuanced. Even those you want to hate turn out to have golden moments. It took me a little time to get into the story, but once I did I couldn't put it down. A time of great violence between men with betrayal the norm. Gods ruled over man, so it seems? What can you do when you are faced with becoming a man before your time? Treachery and love are two sides of the same stone. Justin really knows how to write so the audience knows what the people feel is happening in the moment right down to the ache in their hearts. I can't wait to read the next one. Another very good start to a trilogy. Justin has created another world to be discovered and enjoyed. He is intertwining a romantic triangle as it develops through the years, family interactions and strife, the development of loyalties in a kidnapped child, religious infighting, and military action all into one story which may be a little slow to hook you, but hook you it will. 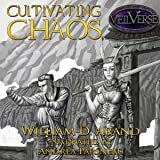 I would suggest the free prequel "Blades of Gresva" to help understand the religious and family structure. Lands of Gods: A Military Fantasy by Justin Sloan was a smoothly flowing, easy to read addictive book. There was romance, family rivalry, kidnapping and of course lots of fighting so there was plenty to keep you interested from beginning to end. Some plots are finished in this book but there are heaps more to work out so I'm ready to read book 2. 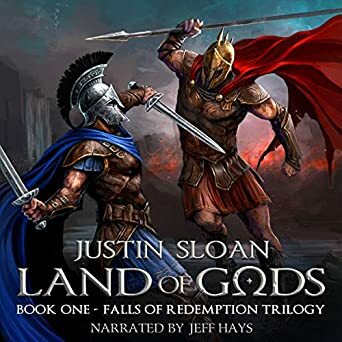 Land of Gods is definitely worth the price, it's suitable for all fantasy readers YA and up, thanks Justin for such a great book. 5.0 out of 5 starsWOW!!! THIS IS WICKED COOL!!!! Justin Sloan is DEFINITELY AN AUTHOR TO READ!!! This book was normally not a genre I'd 'read, but finished it in 2 days!!! I'm so ready for the next book!!! I purchased this book myself, I give very honest reviews and this book and author are moving up!!! AWESOME BOOK!!!!! 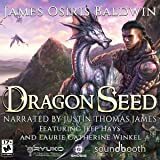 4.0 out of 5 starsKeep Reading/Listening - Totally Worth It! !